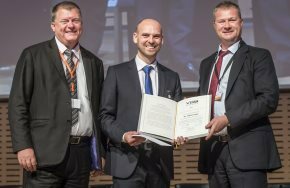 The VGB Research Foundation awarded the VGB Innovation Award 2017 to Dr Tobias Vogel (34) for the development of novel concepts for the hybridization of solar thermal power plants with high solar share. The award, endowed with 10,000€, was handed over by the VGB chairman on the occasion of the VGB CONGRESS 2017 - Generation in Competition in Essen on 13 September 2017. 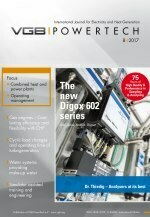 TW-103 Ve "Availability of thermal power plants" - Now available as eBook! The VGB-Standards database VGBVS4OM started successfully. In the first few months of this additional service, the portal record more than 3,500 downloads of publications from the VGB portfolio. Since June 2017, VGB PowerTech provides its Ordinary Members with an exclusive online access to the VGB Standards (VGB-Standards, VGB Guidelines, VGB Technical Instruction Sheets). The documents are made available as eBook (PDF file) online through the new web site VGBVS4OM. The documents will be labelled with the signature of the licensee and are licensed as Company License during the Ordinary Membership in VGB Power. Access is open for all representatives of the VGB Ordinary Members with the usual access data of myVGB. Printed matter can be still ordered by Ordinary Members at special prices through the VGB-Shop. For Affiliate and Sponsoring Members, VGB PowerTech still offers special conditions for the purchase of eBooks and printed matter of the VGB Standards in the VGB-Shop. The survey on new power plants in Europe comprises plants in planning and under construction covering different energy sources. Based on this excel sheet, the planned total output (MW) and the portions of the sources of energy (MW) can be determined. 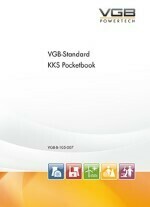 With the KKS Pocketbook, VGB PowerTech offers free of charge compact information about the KKS (Kraftwerk Kennzeichensystem/ Power Pant Designation System) for the user on site. The handy 128-page brochure supports the decoding of KKS codes, one of the world's most widely used key systems for the designation of equipment and components in power generation. The bi-lingual, English-German VGB-Standard (VGB-B-105-007) is an abridged version (extract) of the publication VGB-S-811-01-2017-EN KKS – Identification System for Power Stations (will be published in November 2017, formerly VGB-B 105e. The complete KKS covers the publications VGB-S-811-01-2017-EN, formerly VGB-B 105e, VGB-B 105.1 (in German only) and VGB-B 106e). The abridged version is to assist the user in decoding systems, components and documents employing KKS codes at the plant. It provides the Function Key, Equipment Unit Key and Component Key for energy supply plants (conventional and renewable). 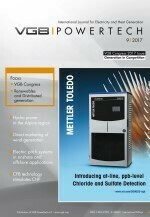 Single copies are available free of charge at events of VGB PowerTech or at the VGB office in Essen. Packages of 10, 25 or 50 copies can be ordered in the VGB-Shop. TW-103 Ve Availability of thermal power plants - Now available as eBook! new "quartiles" (best, median, worst) indicators pointing out the upper and lower limits of the results. The current report provides performance indicators of 643 power plant units plus 173 machine sets of pumped storage and storage power plants. The second edition of the VGB/BAW-Standard S-021 Corrosion protection for offshore wind structures and wind park components ( comprising Part 1 General, Part 2 Requirements for corrosion protection systems and Part 3 Application of coating systems) is available in English. The documents can be downloaded free of charge. 5th International Conference "Coal Washing - a sustainable approach towards greener environment"
Call for Papers: VGB CONGRESS 2018 - Call to Submit Suggestions for Papers! The VGB CONGRESS 2018 with its new motto Generation in Competition will take place in the INFINITY Hotel & Conference Resort Munich Unterschleißheim, Germany, 12/13 September 2018. The goal of the congress is to discuss the joint action of renewable and conventional power generation within the rapid change of the energy markets in Germany and Europe. Political and overall topics will be focused in the plenary session on the first day. We are looking forward to receiving your suggestions by 15 December 2017. For the VGB Workshop Flue Gas Cleaning, which will take place on May 16/17, 2018, in Hamburg, Germany, we would be pleased to receive your concise summary not later than December 31, 2017. Aim of the conference is to ensure steam turbine operation on a high availability and efficiency level also in the future. Changes of the market and the reactions on the manufacturer and operator side as well as in the complete service sector make this experience exchange even more necessary yet. Submit your proposal for paper online now!